Fartlek | Boston or Bust! Flatulence. 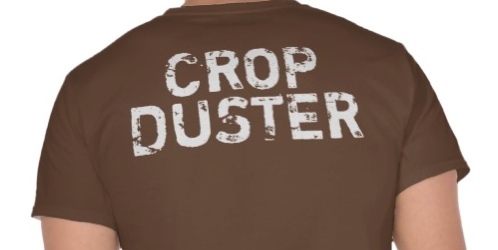 That is the nicest thesaurus alternative to what I recently learned is called “Crop Dusting” in runners vernacular. Have you ever been in a race and had the headphones blaring and then, wait for it…flatulence. And then you run as fast you possibly can to make sure they have no idea it was you. That is called “Crop Dusting” I am told. And I found that pretty darn funny! Been there, done that if you know what I mean. My wife says “you’ve never been there done that and I’ve never heard it called that”. And then she laughed. Well, she may have never heard it called that but she is wrong on the first point. I don’t even look back. I just run my arse off to the next water station and hope to god those people don’t catch me. One guy crop dusted me in Nashville. I didn’t know he did by the sound but by the pungency of his presence. See how I’m using that thesaurus? That’s what us runner writers do. And pungency is what us runners do too. It’s disgusting I know; but it is natural. And you don’t even have to worry about it. Move on people, there’s nothing to see here. I just wonder if this is a male thing or an equal opportunity thing? I bet it goes both ways. It would be one heck of a Survey Monkey survey if I asked questions like “which mile causes you the most flatulence?” or “have you ever looked back after crop dusting someone?” or “does GU make you crop dust?”? I bet we’d hear from both sexes on this one. I was “uninspired” until my wife and I both bust out laughing on this particular topic. So now? Call me inspired. People laugh at bodily functions. That’s just the way it is. I’m gonna run with it. No pun intended. As runners we like to label things – like “the last mile” or “the wall” or “tapering” or “tempo” or “pacing”. Let’s add some new terms to our runner thesaurus. How about “crop duster” or “love spreader” or “stinky *astard” or “the rumble in the jungle” or “fart-lek” or “Russian roulette” or “carb bomb”? I could go on all day. I just know that virtually any sentence or any joke with the word fart in it makes me chuckle. So next time you’re crop dusted, just smile and slow down a bit. You can thank me later. Running Update: Back on track. 24 miles this week with a 9 mile trail run in Jackson, GA of all places coming up. I hurt. I take a lot of ibuprofen. And I stretch more than I used to. But I’m running again so away we go. Official plan is in place and I am on track to kick my fellow crop duster, N. Moro, in the arse in Savannah. He’ll be the one slightly behind me as we cross the finish line. That mental image inspires me.